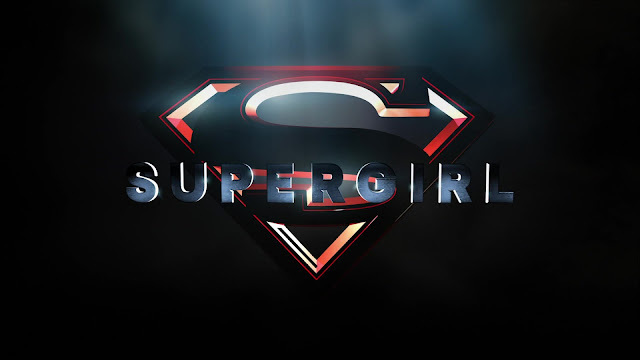 This review is hard to write because what can you say about Supergirl season 2 except it wasn't..... Very good? It wasn't by any means the worst piece of television your eyes will ever come across, but for something that had potential to be so much better, walking away from the finale there is an emptiness and disenchantment over what could've been. For starters an unpopular opinion among the masses; Supergirl was far better when it was on CBS. When you re-watch episodes from season 1 and compare them to season 2? It's hard to believe it's the same program. On CBS, Kara Danvers was strong. She could hold her own in a fight after a decent bout of training. She was driven by her need to help people, be a good journalist, and was a good sister and friend. Her romantic life was in the background because she didn't need a man to fulfill and make her happy. The CW Kara Danvers on the other hand? She is constantly beat in fights & needs to be rescued. Her journalistic career is on the back-foot because she's all about romance. She is not a very good friend because so little scenes are focused on friendship, and even worse on her relationship with Alex, because they're story-lines are all about romance. You cannot proclaim to be a show that is all about girl power, with romantic relationships the side-dish to the main course of personal growth, when you make Kara Danvers all about her relationship with Mon-El. The relationship doesn't start off great with him trying to strangle her. It's revealed they're from rival planets and can't really stand each other. Except all of this is just an apparent build-up of sexual tension, because they're really crazy about each other. I have no idea why. There's no time spent on heart to hearts which could've served the purpose of giving Mon-El a decent backstory AND building up to their relationship. Instead it's all about how Mon-El is selfish, Kara wants to turn him into a hero, Mon-El is reluctant at first because he just wants to hook up with girls...... and eventually decides he does want to be the hero Kara wants him to be because being a hero seems fun & he wants to make a difference. Why? Because Kara wants it and what Kara wants Mon-El also finds interesting. All of this is promoted as healthy relationship goals, which we as viewers are expected to drool over and route for, but there's no reason for it. When an alien from another universe or something it's really not clear, turns up and declares that Kara will be his bride? Mon-El goes full-on macho man determining that Kara is his woman, and attempts to boss her around. Kara rightfully rejects this and puts Mon-El in his place but it doesn't last long. Which is the real story of season 2. As for Alex? Her storyline this year is that she's a lesbian. Her realizing that she's a lesbian, coming out to Kara and then getting a girlfriend takes a couple of episodes. It's something we're again supposed to drool over because we have a lesbian here who as a series regular is not getting killed off, and the relationship is treated respectfully. Except in order for me to accept Alex as a lesbian, I must completely forget season 1. The season where she enjoyed flirtations with Max Lord and dinner dates. No reference was made to her possibly being bisexual, lesbian or even liking women. Yes the show attempts to address this by claiming Alex has spent so long focusing on her work to ignore the emptiness inside of her. But I'm going to need a show to give me more than a 3 episode coming out storyline, and then jumping straight into a relationship with your partner being declared the one, and ending the season on a marriage proposal. It's enough to give anyone whiplash. That's not even mentioning that Alex's relationship with Maggie received far less screen time than Kara's with Mon-El. If you want to claim you're treating everyone equally, you need to back it up on screen. Winn, J'onn, James and the DEO are treated like an after thought and I will me amazed if James is still a regular for season 3, given how many episodes he missed and how little screen time he had. J'onn's story was somewhat interesting, but again not enough time was devoted to it and what's there to say about Winn outside he had an alien girlfriend ..... and then didn't? Their relationship status is as unclear as Supergirl's direction. Alien hating Cadmus is supposed to be the big bag, except when they're not about Mon-El's mother is introduced as an alien bidding to take over the world. She is of course defeated but not before Cat Grant flies in for some motivational speeches and the Producers use up what's left of the special effects budget. We're giving fleeting glimpses of Jeremiah who was previously being held captive by Cadmus, then he escaped, then he was captured again, then he escaped again, then he was revealed to be working with Cadmus, then they were blackmailing him and then he escaped again...... and that's the last we hear of him. Season 1 Alex went off in search of her father with J'onn, refusing to give up hope on finding him and bringing him home. Season 1 Alex would not rest until this happened. Season 2 Alex? Well she's just glad to know he's out there, but like Kara is too busy in her romance to give much thought of dear old dad outside of that. Now this review might lead you to think I hate Supergirl, but it's quite the opposite. I love this show and I will be sticking around for the beginning of Season 3. But it needs to work out what story it's trying to tell, what's motivating its characters, to have set focuses for each episode instead of trying to cram too much in, balancing the romantic aspects with the DEO alien of the week storylines, and most importantly of all more Alex and Kara scenes. Their relationship is absolutely crucial to the show. They are sisters in the good times and bad, knowing to give comfort even when the other claims they want to be left alone, and willing to do absolutely anything for each other. Moving to The CW seems to have caused Supergirl to lose its mojo, and I'm hoping Season 2 was only a minor blimp and the best is yet to come.